Adds a Fallout 4-style to Morrowind. Requires MWSE-lua. 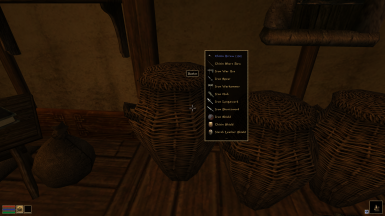 This adds a Quick Loot menu to Morrowind. Use the scroll wheel to navigate up and down, Z takes the highlighted item, X takes all. 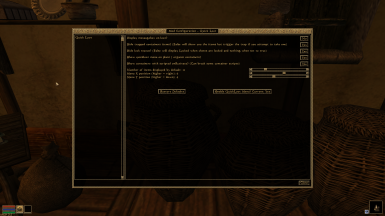 There is a fairly robust Mod Configuration Menu included. 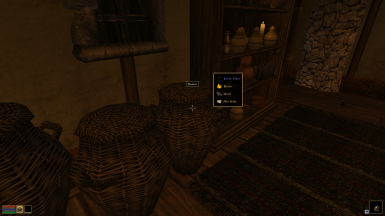 -OpenMW is not supported and cannot be supported probably ever, sorry. -Drag and drop data files folder, merge if asked. then navigate to: data files\mwse\config\quick loot.json and open in a text editor. Change the config keys to what you wish. -Remove or rename the main.lua file. There is also a mod configuration option to disable the mod as well.